Ron Goulart is one of the four funniest science fiction writers in the world (the other three are Fredric Brown, Robert Sheckley, and Keith Laumer, if you were wondering). And in The Chameleon Corps and Other Shape Changers he's at his hysterical best. There are many lines here which have stayed in my head and amused me for over thirty years now. This book contributed quite a bit to the development of my admittedly quirky sense of humor.The book itself is divided into two sections. The first five stories are about the adventures of Ben Jolson of the Chameleon Corps. Esoteric treatments applied at a young age have given Ben the power to alter his form at a moment's notice; he can impersonate anyone, as well as objects of his own general size, flawlessly. 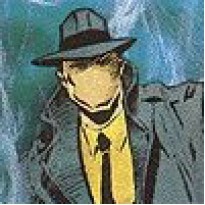 Problem: he'd rather sell pottery than be a secret agent. But you're not allowed to quit the Corps.So Jolson finds himself being sent to one hot spot after another throughout the Barnum system of planets, carrying out odd, sometimes bizarre missions for a government that often seems a lot like ours - given to hypocrisy, greed, idiocy, and sudden tragic bursts of realpolitik.In that, it's rather like the CDT of Keith Laumer's Retief series, albeit considerably less broad. But Goulart's style is much more modern-feeling than Laumer's, with more of a 1960s (and, oddly, 2010s) sensibility. And Jolson is not the superhuman figure that Retief is, for all his powers. Retief saves the world despite and in spite of its idiocy; Jolson can't be sure that what he's saving is better than the alternative, or even that he's necessarily saving anything. He's just trying to get the job done and survive.But oh my god, the stories are funny. Jolson often has to impersonate eccentric characters, and Goulart gives them personalities and verbal quirks which are absolutely hysterical - mother of goats, would you question my word? When you reach the end of the fifth story, you'll wish there were more. 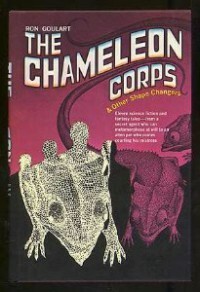 And there are, I believe; there was at least one Chameleon Corps novel, I think, as well as (possibly) more stories. In any case, much of Goulart's work is of the same quality: just as funny and enjoyable.The last six stories are not connected to each other, and tend to be a little darker. But they're still very funny and very memorable. This is one of those outstanding collections of clever, jewel-like short stories that's a real treasure for anyone who loves science fiction and/or humor.So why isn't it in print any more?